Finally I get to experience London during Christmas, something that has been on my wanderlust list for quite a while now. 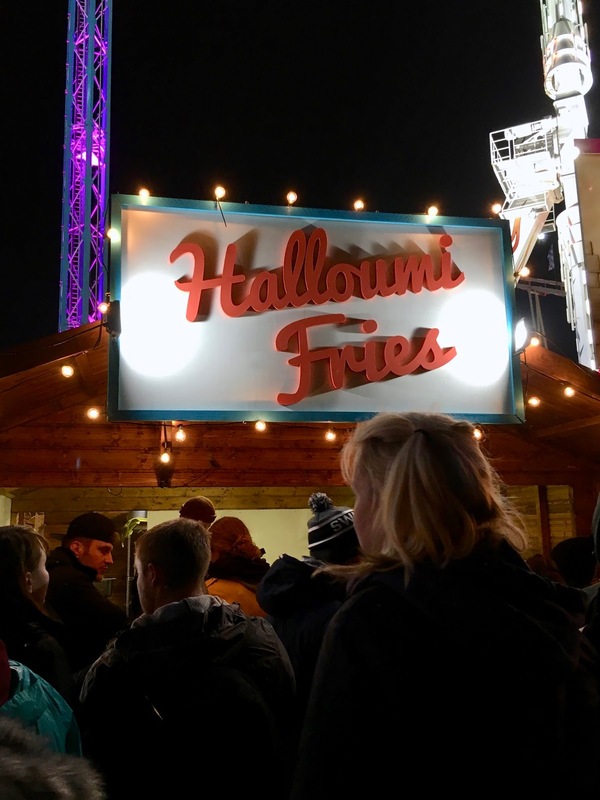 Not to be missed in the weeks before Christmas, is the annual Winter Wonderland in Hyde Park. This massive fun fair, European-inspired traditional Christmas market and festival is definitely worth the hype! I do think it is best to visit at nighttime, as the colourful lights do add that final touch of holiday spirit. 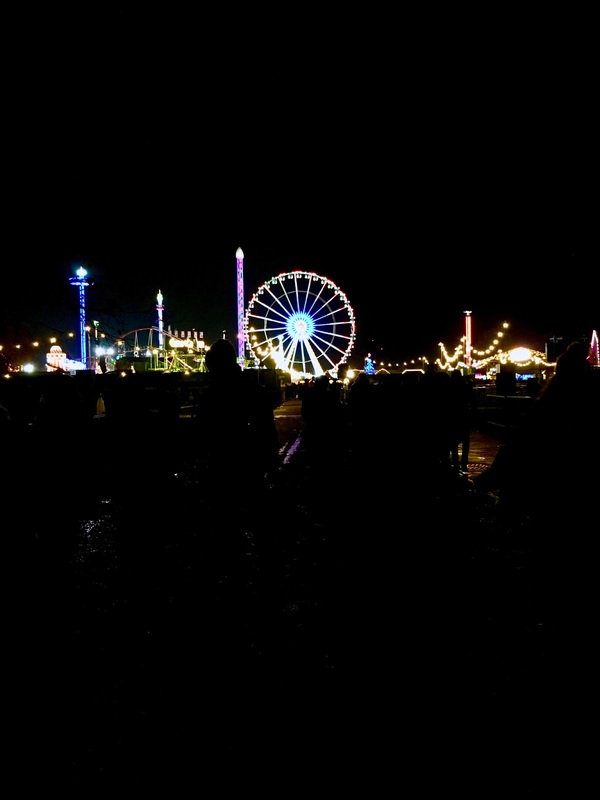 However, you could easily head to Hyde Park around 2pm, browse the different markets and then go on the rides after sunset. Fun for all ages is guaranteed. 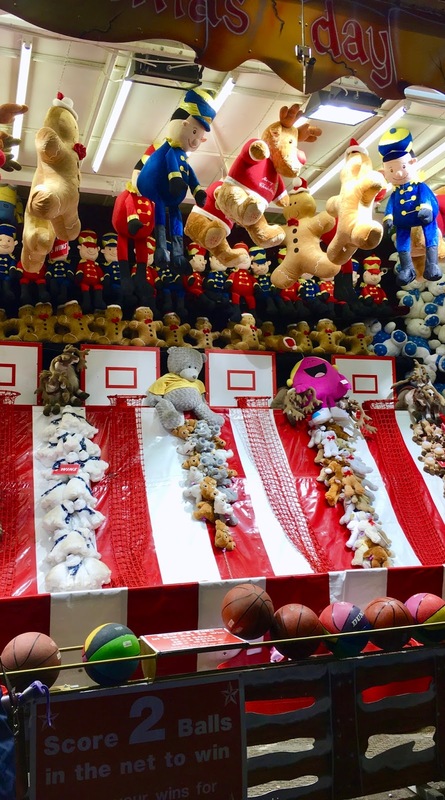 There are many fun houses, carousels and throwing/shooting/hooking-to-win-a-price kind of attractions. But for the daredevils amongst us, there are also many fast-paced, spinning, dropping rides from rollercoasters to ferris wheels. Yes, the London Eye has serious competition this month! All around the Wonderland there are various stalls that sell sweets, souvenirs, jewellery and other quite traditional and authentic items. Personally I am not a big fan of what is offered on these types of markets, but it is lovely to walk around and just explore. Sometimes, you can find gorgeous accessories that you won’t find at your usual high street store. Now I am definitely not a bar/pub kinda gal, I do enjoy the odd night at a bar if there is good music or just a great atmosphere. However, Winter Wonderland might just have changed my mind! We haven’t seen all of them, but there are plenty bars and pubs all around the park. One more extravagant than the other. We spotted a bar that has small cabins where groups can sing ‘carol-oke’. Yes, that is karaoke especially for Christmas carols! Another venue is much more festival like, as there is a massive stage with live performances. And last, but certainly not least, the bar that stole our hearts: a MOVING carousel bar! How fun is that? The bar spins around slowly, as everyone gets down to classic anthems from Girls Just Wanna Have Fun to All I Want For Christmas Is You. The food situation is out of this world. I have literally had such great food, that I would gladly go back just to get me some of that deliciousness again! We settled for a traditional German curry wurst (vegetarian who? )and wait for it…. 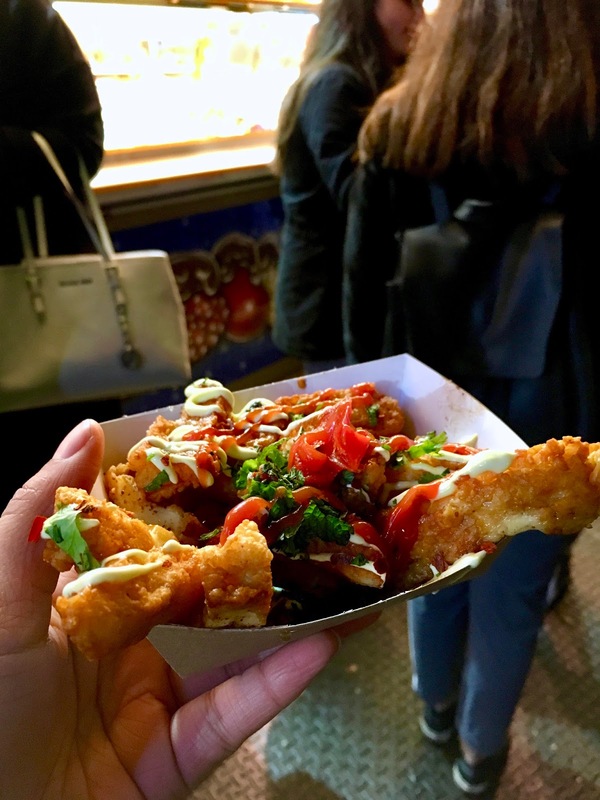 HALLOUMI FRIES! Literally, the best thing I have ever tried in my life. There are lots of waffles/crepes stalls as well, but we ended up being so stuffed that we unfortunately had to skip our dessert. 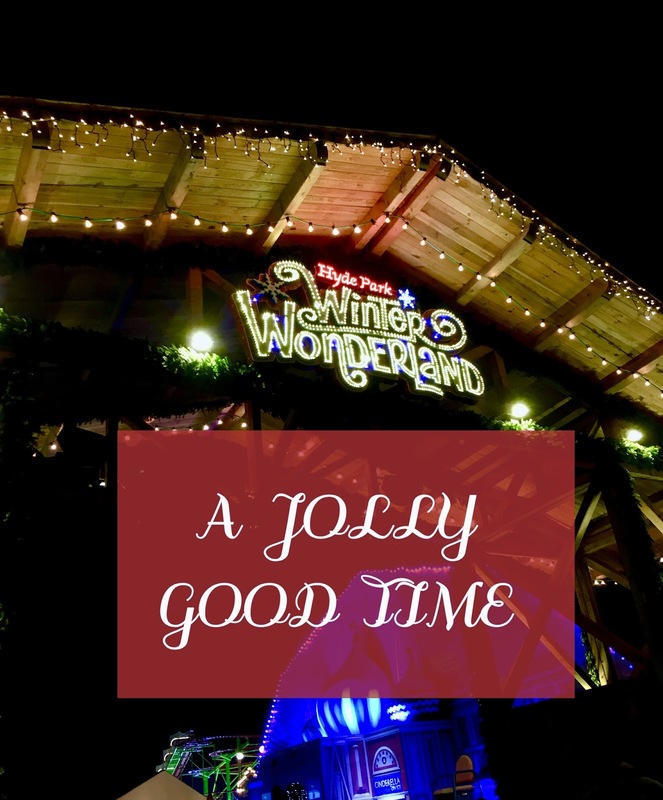 It was a jolly good time, and I’m not even surprised if Winter Wonderland will see me again before they leave us for another year. If you find yourself around London during this time of year, I cannot recommend a visit enough! 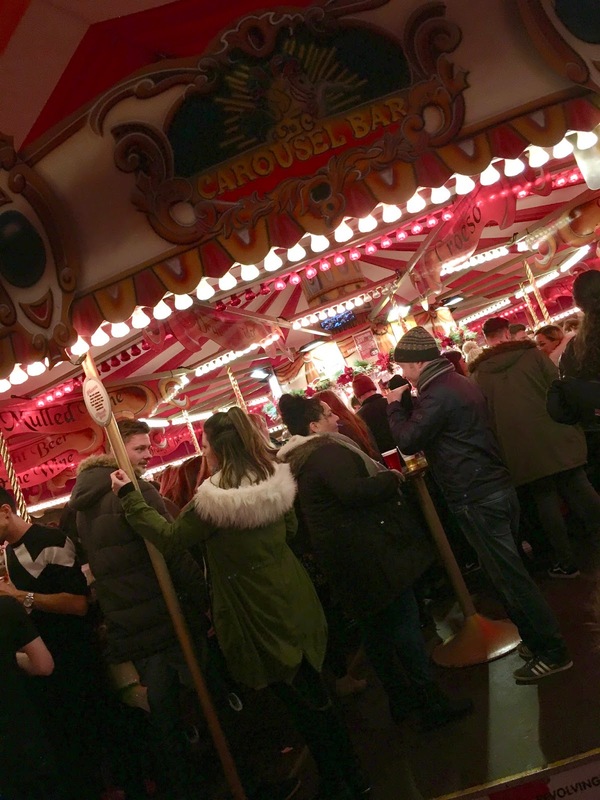 Have you been to Winter Wonderland? Let me know your experience in the comments below!